As retailers of statues in reconstituted marble, we are pleased to offer you a wide range of subjects from miniature animals and Buddhas through to larger busts and decorative statues. 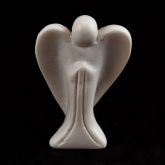 We retail hand finished statues made by our suppliers in their own hand-made moulds, using only the finest marble. The white marble is imported from Carrera in Italy (the same quarry that produced the marble for Michelangelo’s David) and the black and bitter green marble is sourced from Saint Béat in the foothills of the Pyrenees. We believe these statues have the same quality as a highly polished cut statue but at a price that everybody can afford and represents extremely good value for money.